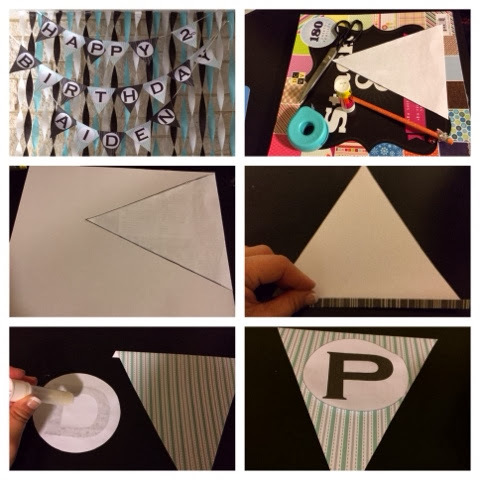 One of the DIY projects for my sons 2nd birthday party that I wanted to do was to create a Happy Birthday Pennant. 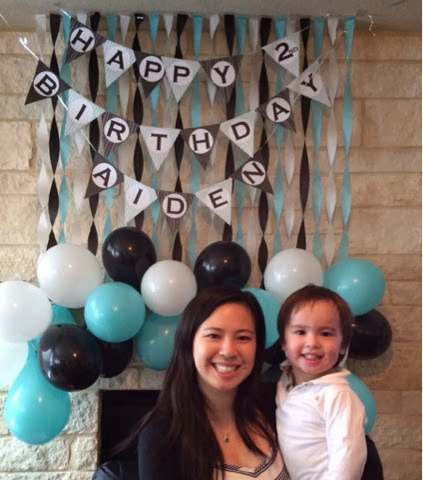 I wanted it to hang over the mantle of my fireplace and I decided it would say Happy 2nd Birthday Aiden so there would be 3 rows. This was an easy and inexpensive DIY project and was the perfect party decoration. I hung this pennant over colored streamers that I taped and twisted from the ceiling down to the mantle alternating white, black, teal matched with color coordinating balloons below it.